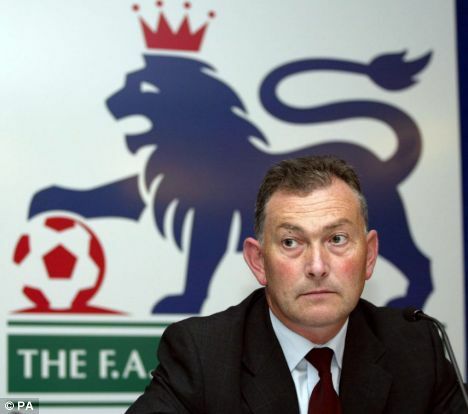 Richard Scudamore, chief executive of the Premier League, has earned a £2.5m annual bonus on top of a generous pay deal. Citizens UK's focus on the wages paid by England's Premier League football clubs exposes a stark truth about what used to be called "the people's game", and the country in which it has become all-conquering. The historic neighbourhood football clubs, enjoying a commercial boom that has delivered a 2013-16 TV deal of £5.5bn, pay top footballers £10m a year and chief executives £2m a year. But hundreds of their staff have to make do on the minimum wage: £6.31 an hour for over-21s; £5.03 for 18-20-year-olds; and £3.72 for under-18s. This is a damning portrait of football, the overblown great and simple game, of course, but it is also a more general indictment of a society in which endemic, grindingly low levels of pay, too little to live on with dignity, are actually set by the government, while vast individual wealth is idolised. Now broadcast globally to 200 countries, the Premier League is considered a great advert for Britain, with the prime minister, David Cameron, inviting the league's chief executive, Richard Scudamore, on several of his trade trips. Scudamore recently asserted that the overseas billionaires who have bought the top clubs are attracted to a game that is still "quintessentially English". For his job, principally selling the rights to live Premier League matches exclusively so that fans here and around the world have to buy pay-TV subscriptions, Scudamore was paid a £2.5m bonus over the years of the last deal, on top of his annual salary, which was £929,000 last year. The Citizens UK report cites the salary package of Ivan Gazidis, Arsenal's chief executive, which in 2012-13 was £1.925m. Daniel Levy, executive chairman of London's other major Premier League football club, was paid £2.2m in 2011-12, the year of the club's most recently published accounts. The package was paid by Spurs's parent company, Enic International, which is registered in the Bahamas and owned by currency trader Joe Lewis, then recharged to Spurs. The wages of footballers, and the commissions that are raked off by their agents, have become in-your-face inflated since the First Division clubs broke away from sharing their TV income with the other three divisions of the Football League in 1992 and formed the Premier League, going on to sell the live television rights exclusively to BSkyB. Pay that had been held down by the clubs to a maximum of £20 a week when the players' union, the PFA, succeeded in having it freed in 1961, has been unleashed to a fierce market in which the best talent's rewards have been pushed up to the current £10m and more a year. In training ground car parks where the football stars of the 1970s were doing well to park a Cortina, it is common now to see Bentleys and Porsches being lathered and valeted by young lads, ready for when the top players finish training and come back out. The report has not exhaustively revealed the employment conditions at clubs for catering, cleaning and other staff doing vital jobs; one of its points is that the clubs have not engaged sufficiently with the living wage cam- paign for the numbers to be established. Only one club, Manchester City, which has been owned since 2008 by the multibillionaire Sheikh Mansour bin Zayed Al Nahyan, a member of the Abu Dhabi ruling family, has committed to paying its staff a living wage. Citizens UK welcomes that commitment, and calls on Manchester City to go further, to set an example and commit to ensuring that its subcontracted staff – such as those working for the catering companies which serve up major matchday profits to the football clubs – are also paid a living wage. The Living Wage Foundation has set this at £7.65 an hour, or £8.80 in London. Far from a footballers' fortune, it is an amount aimed at enabling people who are working at least not to be on poverty pay. The Premier League's argument, that its clubs comply with the law – and, by implication, that the government could set the minimum wage at a liveable level – is valid in its way.